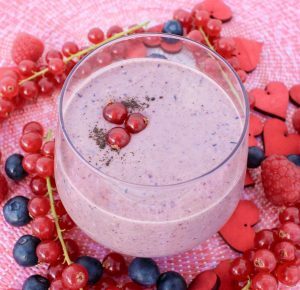 Packed with goodness this superfood breakfast smoothie will keep you fuller for longer. Açai powder is made from Brazilian açai berries which are nutrient dense and high anti-oxidants. If you can’t get your hands on any then you can leave it out. You can replace kefir with milk and yoghurt or with a dairy free milk if you prefer. Place all ingredients in a blender and blitz until smooth. Serve immediately.